Man, ever since his arrival in the world has come up with so many wonderful things. 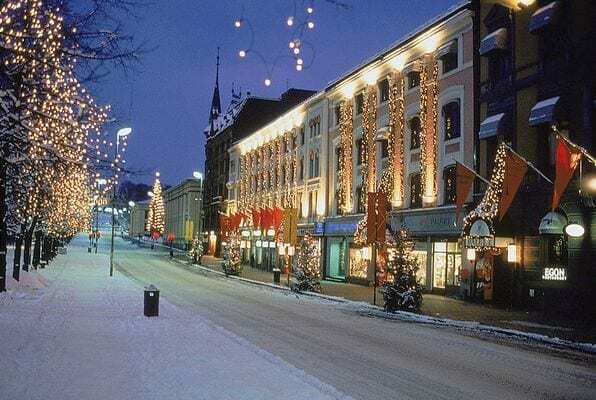 Beautiful art, architecture, scientific inventions etc. can all be credited to man’s evolution and his quest for survival. If you are a person who loves to travel and want to know more about the creations of man which he has created over thousands of year this is the read for you. 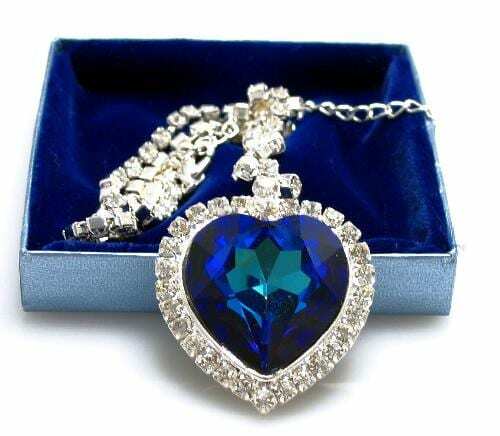 We see many kinds of wonders in the world and people are crazy about the natural ones. However, if you go on to explore the world a little further you will get to know that man has been making some amazing and inspiring things which can easily be called the man made wonders of the world. 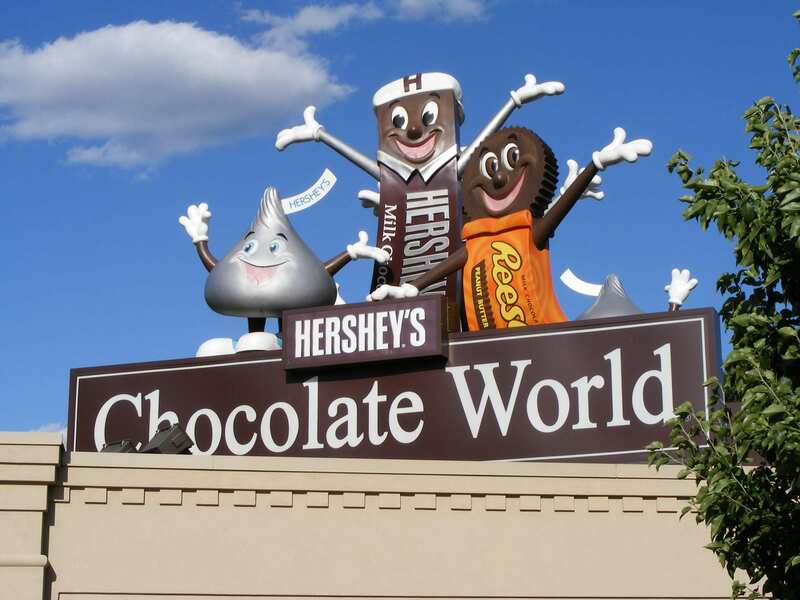 Man-made wonders are slowly becoming really famous and people travel from far off places to have a good look at these. 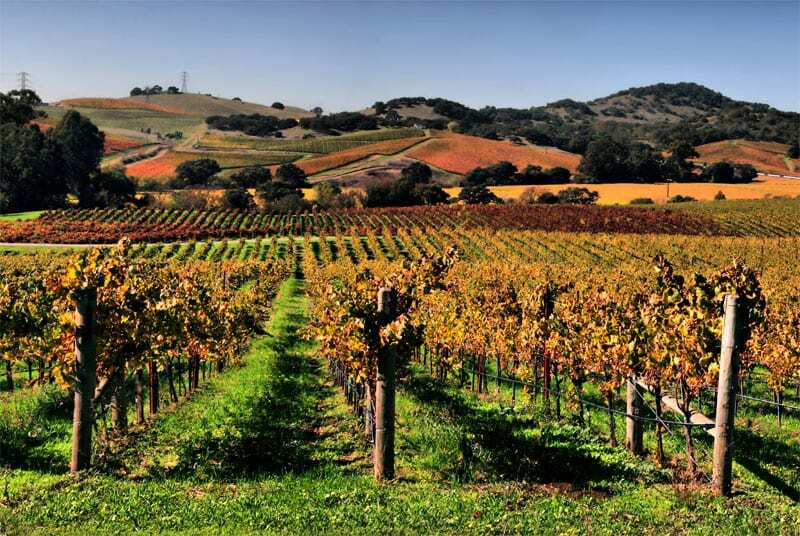 If you are a ravel person this article can prove to be a good guide for you as we bring you the top 10 best man made wonders of the world. 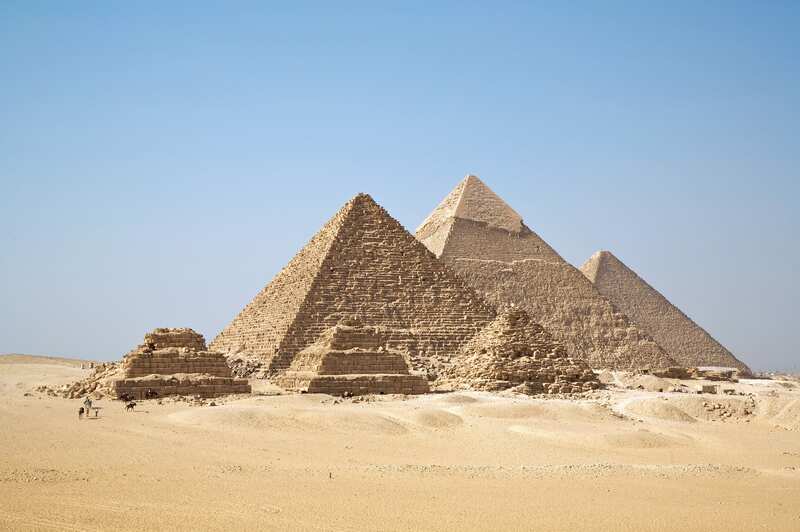 One of the most liked and famous tourist spots is the Pyramids in Egypt. They are most definitely a wonder created by man and from the Egyptian reign to this day, they do not fail to amaze us. The pyramids are a unique cone like structure with great Egyptian history, mummies and various Egyptian artefacts stored in them. Who could have imagined that men of the Egyptian times, living in a desert would come up with such a unique structure? The idea of a pyramid is to preserve the dead in them and to this day, the skeletons of the old Egyptian rulers lay in the Pyramids. 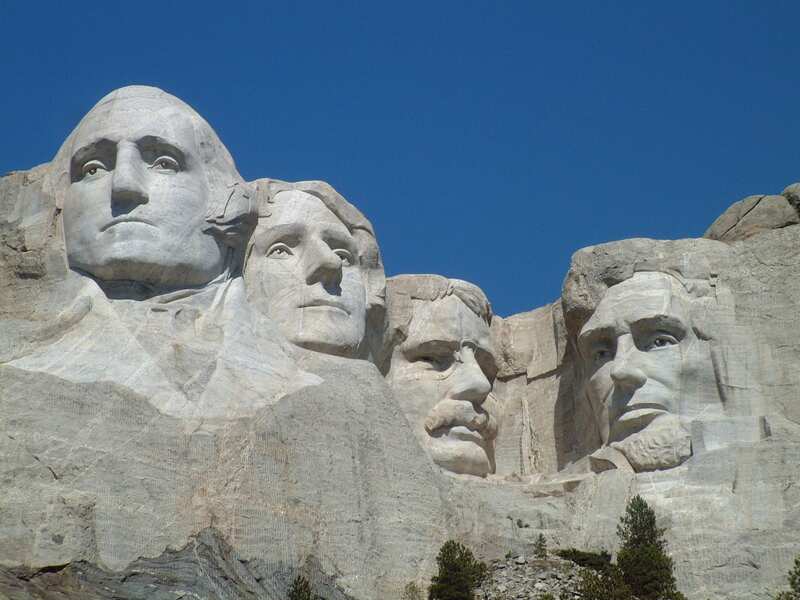 Located in South Dakota in the United States, Mount Rushmore is an excellent example of how talented and unique a man’s mind can be. It is definitely one of the most wonderful places to visit if you are interested in visiting man-made wonders of the world. It is a mountain which has granite in it and the maker of this has carved the mountain into the faces of the famous American Presidents George Washington. Thomas Jefferson, Theodore Roosevelt and Abraham Lincoln. It is an excellent example of how beautiful things from nature can be combined with a human idea to create a wonder. It is more commonly known as the lost city of Inca and it is located in South America (Peru). The interesting thing about this man made wonder is that it is an ancient city which was abandoned all of a sudden and no one knew about it except for the locals. Even the Spanish who conquered the South American Land had no idea about the city but later on it was discovered and now it is one of the most beautiful in terms of ancient city ruins. Another one of the amazing creations of man, is the city of Mohenjo Daro located in Sindh Pakistan. It is basically the remains of the Indus Valley civilization which in fact, was one of the most modern civilization of 2500 BCE. 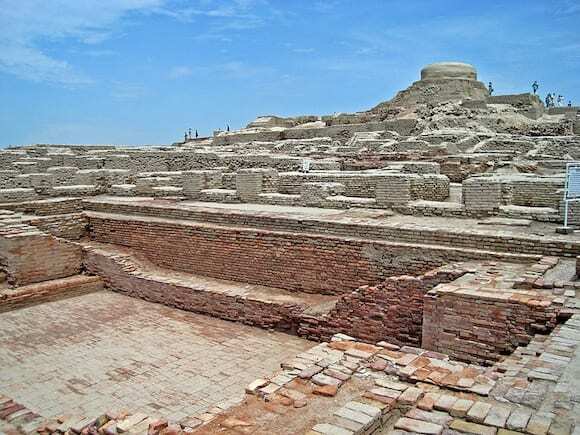 They had a proper irrigation system and their way of life was just wonderful the city remains in Pakistan to take us back to the amazing times of the Indus Valley civilization. Located in Samarkand, Uzbekistan this man made wonder called the Registan takes us back to the Timurid Dynasty. It was basically a meeting place at the time of the Timurid Dynasty where public executions used to take place. It has three Madrassahs located right beside it. 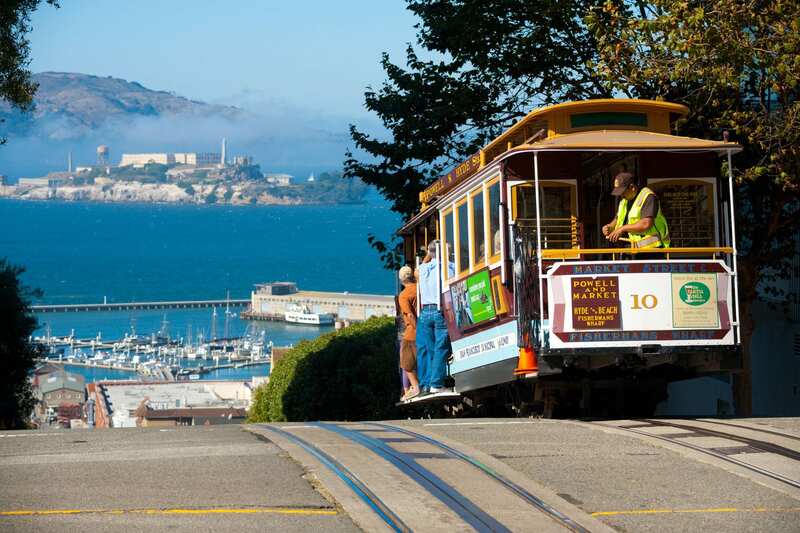 Not only is it an excellent man-made wonder but is also a wonderful historical place to visit for people who have an inclination towards old architecture and its remains. 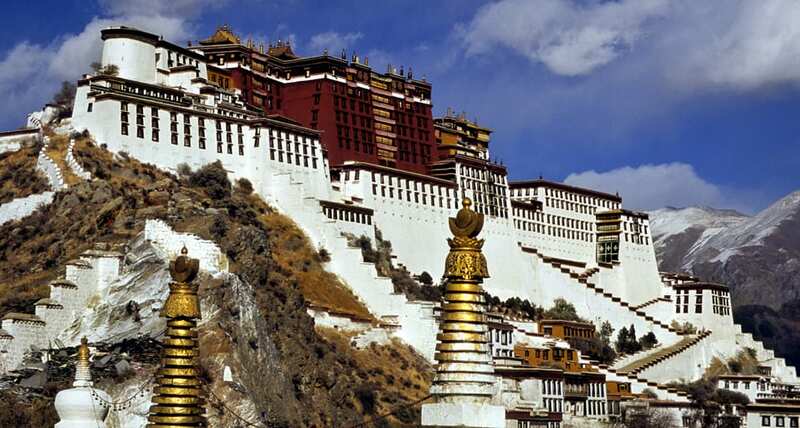 Created in 1645, the Potala Palace is a man-made wonder with its mythical beauty and construction. It was the residence of the Dalai Lama but after the fleeing of the 14th Dalai Lama to India, the palace has become a public place where anyone can go and look at the artefacts and historical things related to the religion Buddhism. The name of this palace is after the Potala Mountain. Petra or the red rose city as it is commonly known is one of the most extraordinary manmade wonders of the world. It is famous for its construction as the buildings in the ancient city are carved out of rock hence the color is red. The city boasted a water conduit system which is why even till today people regard it as a highly modern thinking at the time of the Petra people (almost 312 BC). 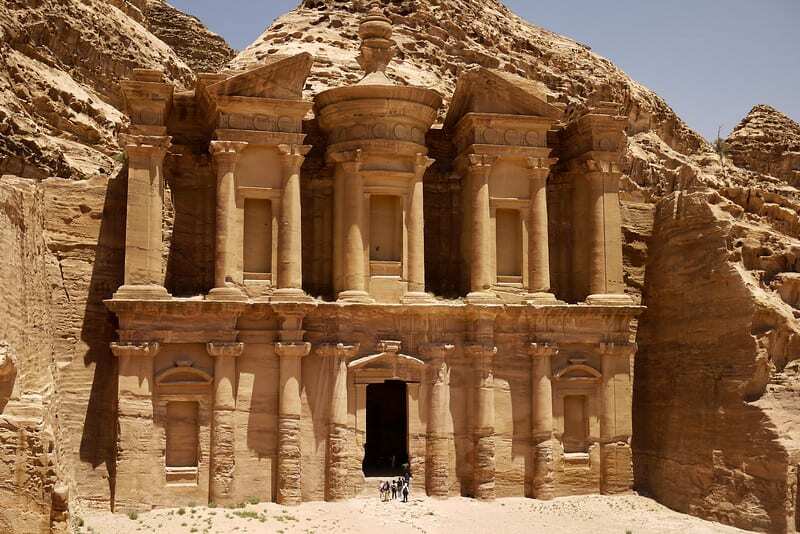 Many tourists visit Petra because of its beauty and awe along with the Red Sea which is very close to it. The elegant architecture and the magical stories linked with this monastery add up to the wonders of this man made building. The monastery was built in 1692 as a temple complex. An interesting fact about this majestic place is that the guru who first inhabited it travelled to the site on the back of a tigress. Which is why the name Tiger’s nest is given to it. 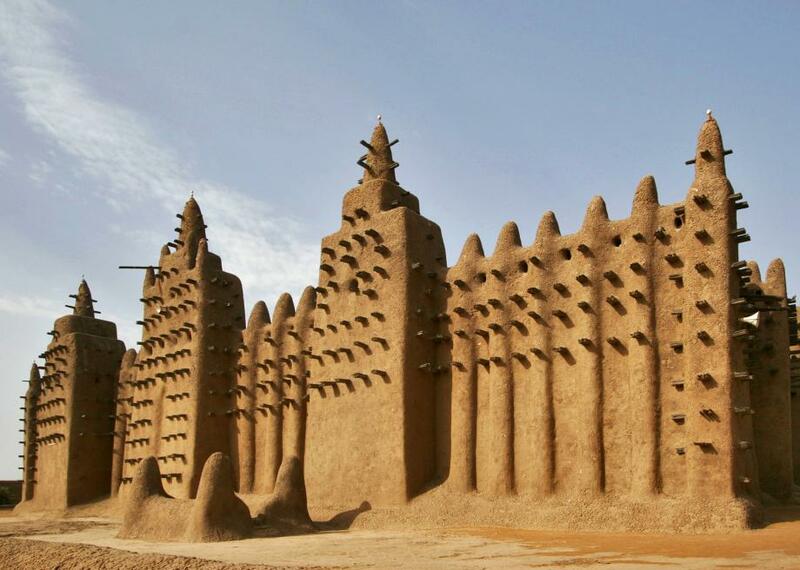 More commonly known as the Djenne Mud Mosque of Mali dates back to 1200’s. It is amazing structure made out of sand and clay. The smooth sculpted look makes it unique from modern day mosques and it is an excellent attraction for those who want to visit grand man made wonders. there is not even a single doubt about this man made wonder being on number one. Built in China as the longest wall in the world, it was to ensure border security and projection. 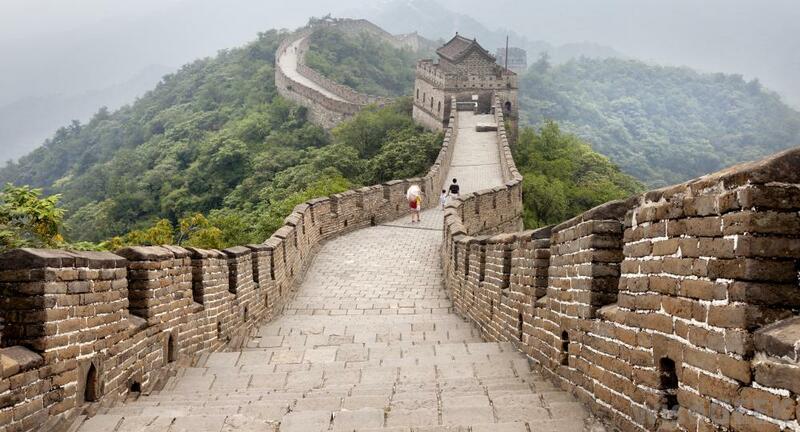 The wall was built in 220-206 BCE by the first ever emperor of China. Every day millions of tourists go and visit this amazing man-made wonder of the world.